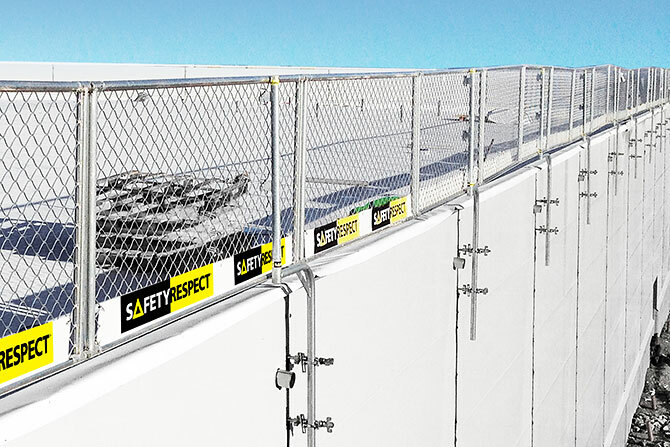 SafetyRespect Hall system is an edge protection developed for flat roofs and gently inclined roofs. Such an example is constructions for industry, sports and commerce. The system has several attachment alternatives and can handle long spans between the attachment points. 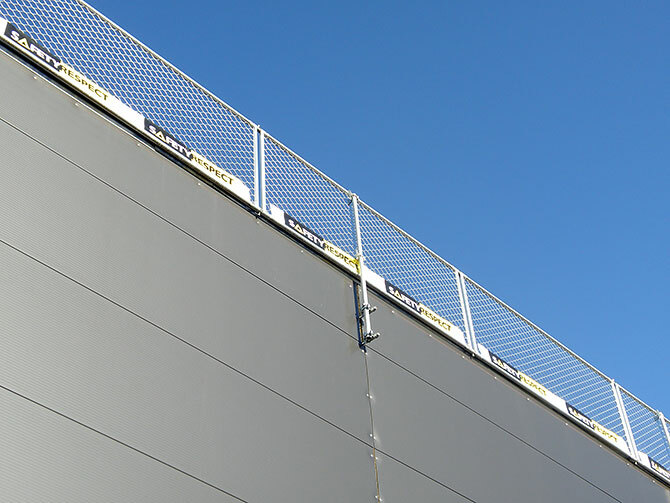 The system consists of Barrier of aluminium and smart components that offer rapid and safe installation. Hall constructions that are built have a relatively short construction process. 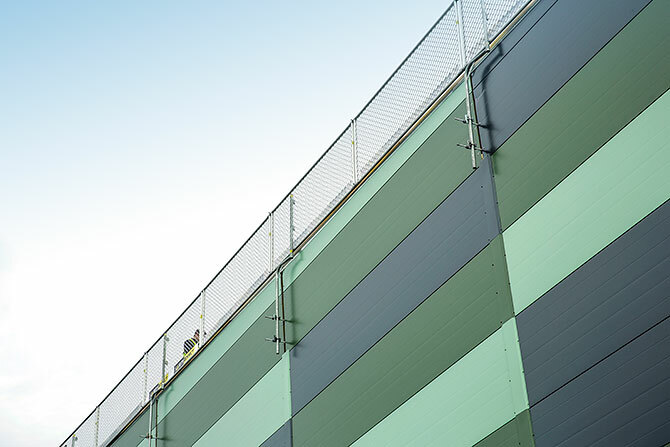 That is why it is important that the edge protection that is selected can be quickly installed, be pre-manufactured, is adjustable and offers fully acceptable protection during work on the roof during the building process. 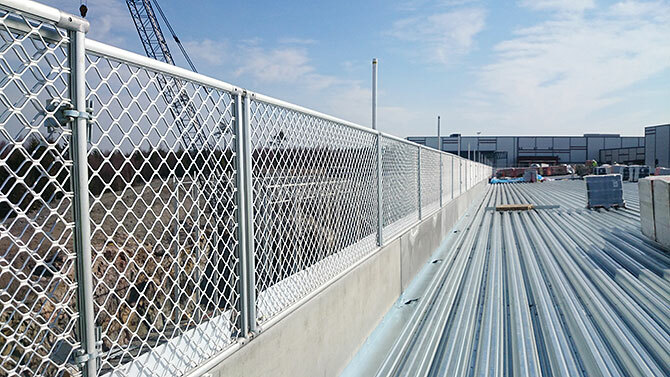 The system takes into consideration the different types of work that are to be carried out as well as the fact that the respective professional category of people working on the building should have good edge protection. 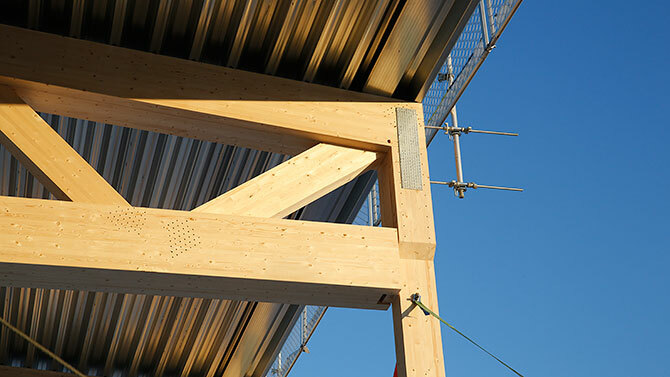 The system creates a safe working site when installing load-carrying sheets, roof insulation, waterproof layer, etc. 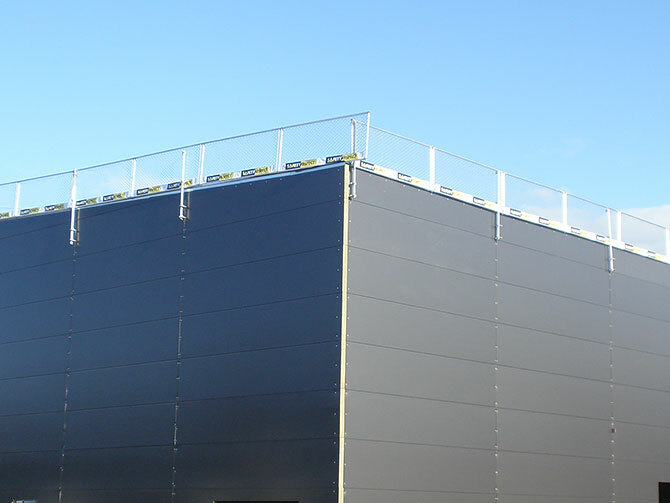 Wall panels and facade elements can be installed with the edge protection in place. 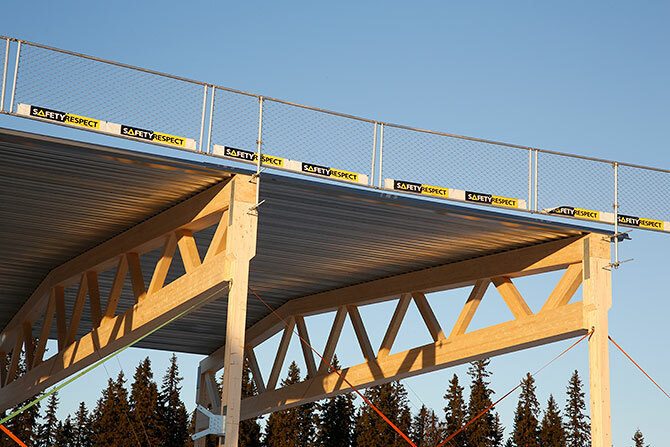 The flexibility both in height and sideways, offers solutions that traditional edge protection does not have. The edge protection can be adjusted/swivelled, which makes possible installation of gutters and similar devises at the eaves. 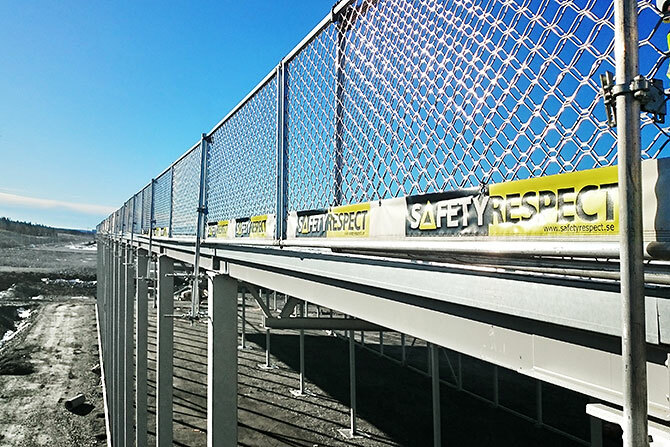 The Barriers of aluminium are attached to posts with the post locking and are jointed continuously with pipe joints or couplings. The edge protection is attached on the outside of the columns. Welding nuts are delivered to the manufacturer of the framework and welded onto the steel columns. The positioning of welding nut is designed in consultation with SafetyRespect. 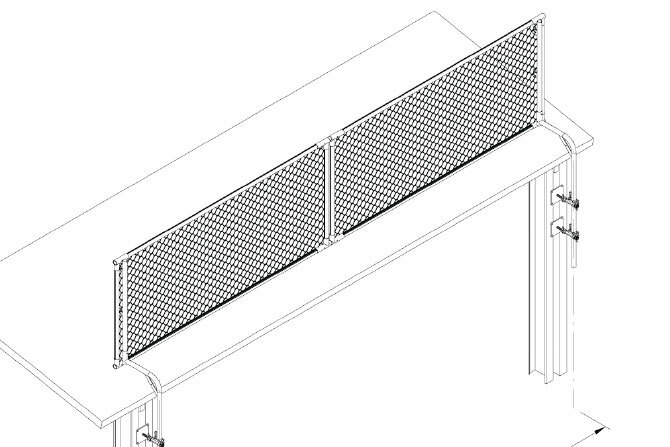 When the edge protection is installed on the columns the working area is totally free to be used for all other work, such as placing the load-carrying sheets, roof insulation, waterproof layer, etc. No damage is thus done to already finished surfaces. The welding nuts are covered by the sheets, pilaster and between the facade panels when they are out in place.